Amazing Grilled Chicken Marinade Recipe - chicken marinated in a mixture of vinegar, dijon, lemon and lime juice and brown sugar. Sweet and tangy in every bite! It is truly amazing. We ate this two nights in a row. Everyone gobbled it up. This grilled chicken is truly amazing! We both took one bite and said "WOW! This is amazing!". The chicken is marinated all day in a mixture of vinegar, dijon, lemon and lime juice and sugar. It give the chicken tons of great sweet and tangy flavors. 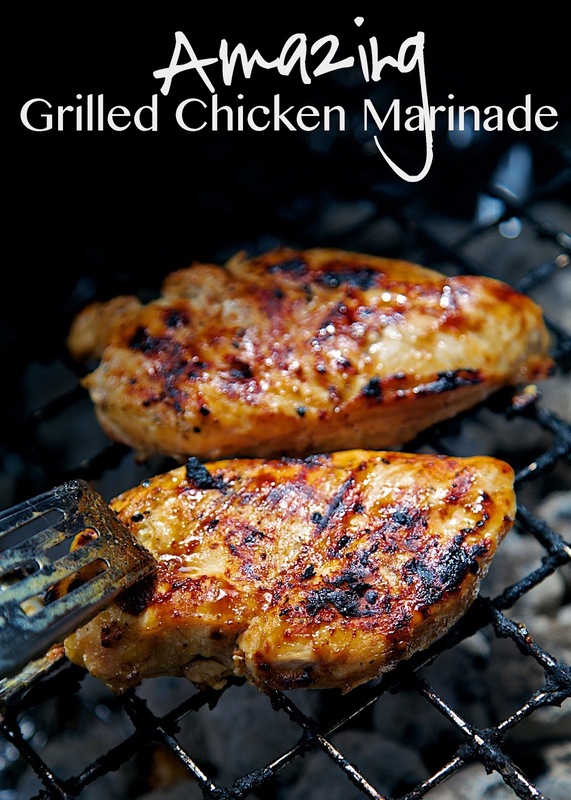 I whisked the marinade up the morning we grilled the chicken and let the chicken hang out in the fridge all day. It only took a few minutes and dinner was prepped. 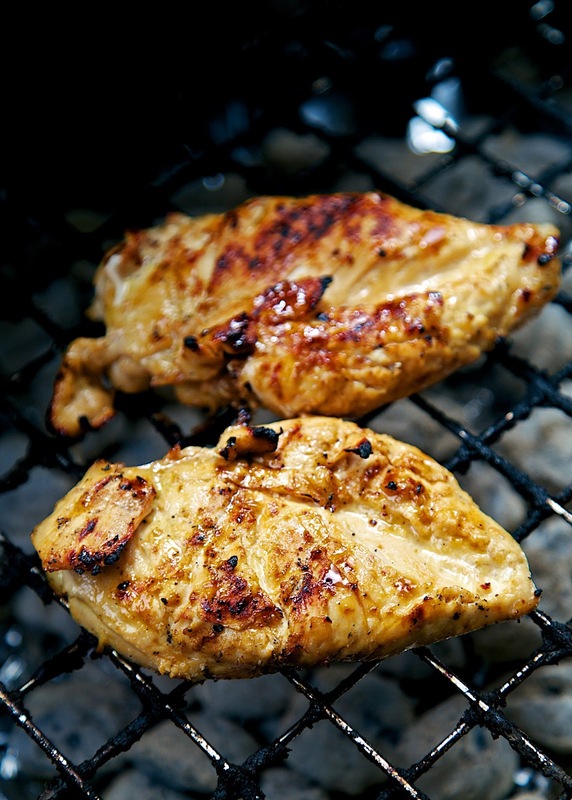 One tip on grilling chicken - pound your chicken breasts to an even thickness before marinating. We put the chicken in a ziplock bag and use a flat meat tenderizer to pound out the thick part. Having the chicken at an even thickness will help the chicken cook evenly on the grill. Whisk together vinegar, mustard, garlic, lime juice, lemon juice, brown sugar, salt, olive oil and pepper. Pour over chicken and refrigerate for 8 hours or overnight. Remove chicken from marinade. Grill chicken for 8-10 minutes per side, or until done. YUM!!! I can't wait to try this marinade this weekend!! Thanks for sharing. The marinade sounds very good and your finished chicken looks excellent with just that little bit of black on it. Tried this tonight - VERY tasty. Thanks for the recipe. Gonna have to try this when my hubby gets back from working out of town next week. Looks so good!